Now, a further study claims that the 2014 research was based on ‘inadequate analyses of the data’ and that Gliese 581d does exist. 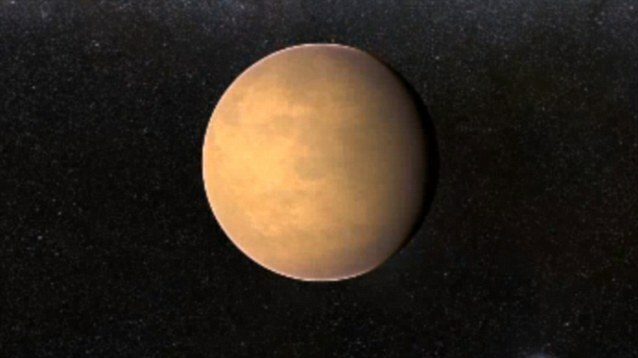 CONTROVERSY AROUND GLIESE 581D: IS IT REALLY A PLANET? The planet was initially discovered in 2010. It was the first Earth-like planet found in the ‘Goldilocks’-zone around another star. But soon after the discovery, a group of scientists said the signals thought to be from a planet were in fact simply magnetic bursts from stars. The latest study claims that the stellar bursts research was based on ‘inadequate analyses of the data’. They said the method is suitable for large planets, but the technique is unable to find small planets like GJ 581d. 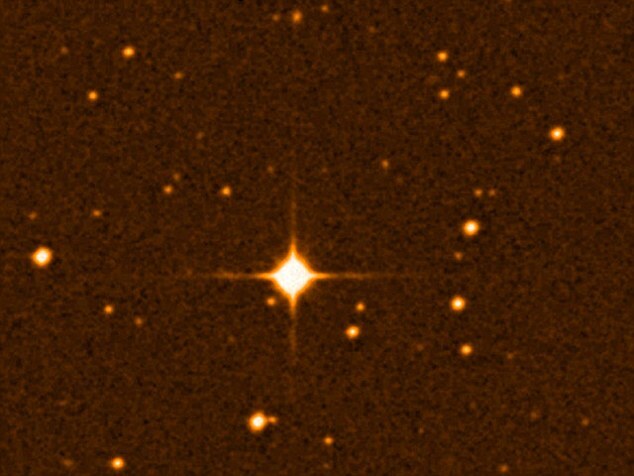 Last year, Pennsylvania State University researchers said Gliese 581d – and its companion Gliese 581g – were simply a trick of the light caused by magnetic bursts from a local star 22 light-years away. 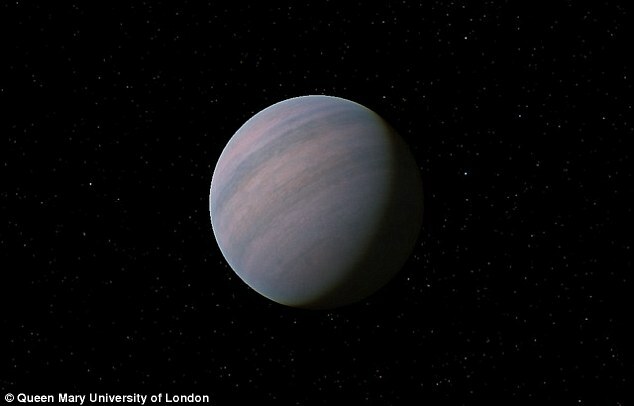 The new British research, however, argues the method used by the Pennsylvania team was only suitable for large planets, and that it could miss small ones like GJ 581d. The study, by Queen Mary University, London and the University of Hertfordshire, claims to use a more accurate model on the existing data. ‘The existence (or not) of GJ 581d is significant because it was the first Earth-like planet discovered in the ‘Goldilocks’-zone around another star and it is a benchmark case for the Doppler technique,’ said lead author, Dr Guillem Anglada-Escudé. ‘There are always discussions among scientists about the ways we interpret data but I’m confident that GJ 581d has been in orbit around Gliese 581 all along. ‘In any case, the strength of their statement was way too strong. ‘If their way to treat the data had been right, then some planet search projects at several ground-based observatories would need to be significantly revised as they are all aiming to detect even smaller planets. According to one of Nasa’s top planet hunters, we will find a planet with oceans like Earth in the next 15 years. Dr John Mather is an astrophysicist at the Nasa Goddard Space Flight Center in Maryland, and the senior project scientist on the James Webb Space Telescope (JWST). The giant telescope will be used to find the first bright objects that formed in the universe, figure out how galaxies evolved and find out how stars formed. But perhaps most excitingly, it will study Earth-like worlds beyond our solar system. ‘I think that will be in around ten to 15 years from now. GJ 581d is believed to be the first planet outside our solar system in the Goldilocks zone around its star – an area not too hot and not too cold for life. 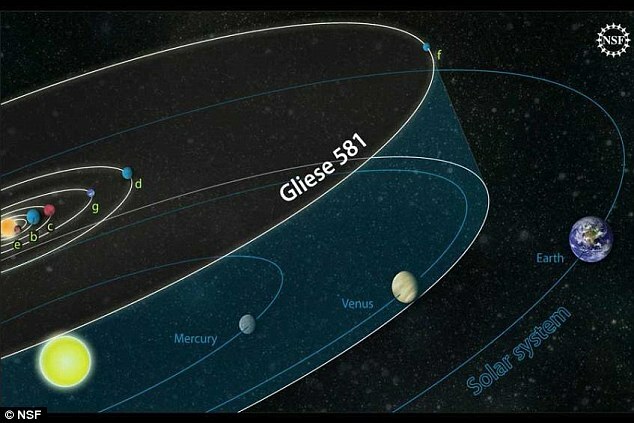 To find Gliese 581d, University of California, Santa Cruz astronomers originally looked for subtle changes in light caused by the gravity of an orbiting planet tugging back and forth on the star. The strength of the tugging, they believed, showed them a planet was about three times as massive as Earth. At the time, the discovery of Earth-like planets around Gliese 581 caught the public imagination. Documentary-maker RDF and social-networking site Bebo used a radio telescope in Ukraine to send a powerful focused beam of information – 500 messages from the public in the form of radio waves – to Gliese 581. And the Australian science minister at the time organised 20,000 users of Twitter to send messages towards the distant solar system in the wake of the discoveries. Other exoplanets have previously been doubted, most notably Alpha Centauri Bb, the closest Earth-sized world to us, which some scientists claim could just be noise in the data.